This entry was posted on June 3, 2015 by supplements2u. How do you choose your whey protein supplement? Did your friend at the gym recommend a whey protein or did he tell you what he takes? What about the one with the best looking packaging? 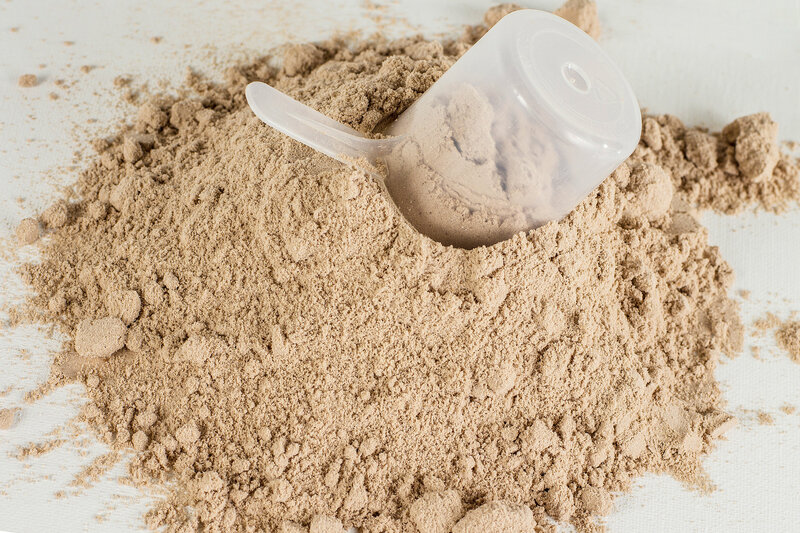 Have your tried lots of whey protein powders and now stick with one that tastes amazing? The reality is that protein supplements are the cornerstone of all the supplements whether it be for bodybuilding or for general gym goers. Therefore we should take time and research the best protein powder. In the UK we consume a lot of whey protein supplements, it is a multi-million pound marketplace. Whey protein is one of the most convenient protein sources in order to increase our daily intake of protein. Those conscious about their body image will be on the quest to add extra size onto their arms or increase their bench press by ensuring they are consuming adequate amounts of protein. Typically, whey protein supplements can be taking around three to four times a day as a suggested maximum, therefore it is in our interest to make sure what we are putting down the hatch is of high quality! You have got one thing right so far, that is knowing that whey protein has its benefits and should be included in your daily nutrition routine. Whey protein is so good and has several benefits such as its amino acid profile, micro fraction content and the digestion rate within the body. Whey is a food source that is very high in branched chain amino acids (BCAAs) that include valine, leucine and isoleucine. These three amino acids have been shown to be crucial for muscle repair, growth and even for energy during intense workouts. Whey also contains biologically active micro fractions like lacto peroxidase, lactoferrin, immunoglobulins, glycomacropeptides, alpha-lactalbumin, beta-lacto globulin and various growth factors. These are extremely useful by providing anti-oxidant benefits, boosting immune system functions and enhancing muscle repair and growth. The key beneficial factor that puts whey protein supplements in the lead against other protein sources is the digestion rate. Whey digests very rapidly and therefore is particularly beneficial post workout. Studies have shown that within 30 minutes it can already be digested and a significant amount of amino acids are shuttled to your muscles. From this speedy delivery of amino acids to the muscles allows for muscle growth. At Supplements2u we stock a growing range of whey protein supplements like USN Pure Protein GF-1 and tonnes of other cheap supplements. Whey is just one of the protein contained within milk, so it should be no surprise that this is where whey is derived from. More specifically, whey protein productions begins from dairy cows. The process involves cows being milked and then part of the milk is filtered giving whey. Don’t think we have the likes of USN and PhD Nutrition on the farms milking cows. But they do buy or get their whey supplements made by dairy producers. The raw ingredient of whey is either bought directly from the dairy producer and the manufactured in supplement company’s facilities or the entire production is outsourced. Because of where whey comes from, this means that there are few dairy producers. Therefore, several supplement companies will use the same supplier for their whey protein supplements. In Europe, one of the main protein supplement manufacturers is a company called Glanbia, with their headquarters in Ireland. They are the ones who will process the milk by various methods such as filtering and purification in order to produce specific protein powders. Major supplement companies like Optimum Nutrition have their supplements produced by Glanbia. Their supplements include various forms of proteins such as whey protein isolate, whey protein hydrolysate, whey protein concentrate, micellar casein and calcium caseinate. They can either produce the finished product for the supplement company, or deliver the raw whey protein ingredients to the supplement company’s production site and then add in flavourings, colourings, additional amino acids and enzymes etc. This blended product is then what you buy. So, with the above in mind, that is why we should read the entire label claim on the whey protein supplement we are going to purchase. By the addition of different ingredients, this is the differentiating factor as to what makes a great whey protein supplement. Although it seems obvious, but when you buy a whey protein supplement your intention is to buy protein, not carbohydrates and not fats. Carbohydrates and fats are far too easy to consume from other food sources. 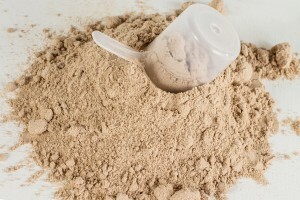 Protein, not so much, that is one of the main reasons as to why you buy protein supplements. Therefore, you’ll want to make sure that what you are buying contains as much protein as possible. Most reputable supplement companies like USN will list a full breakdown of the protein, carb, fat content and separate the amino acid profile too. But, also check after those headline figures. The ingredient list contains a wealth of information about the product. The information contained within this list holds the key as to whether or not the protein supplement is amazing or only passable as a protein supplement. One thing you may notice is that many whey protein supplements will list more than one type of whey. This is fine, although ideally you want to see whey protein isolate (WPI), hydrolysate, hydrolysed whey protein or whey protein concentrate (WPC) listed first. The reason for this is due to isolates being the purest form of whey protein and can be around 90% protein. Hydrolysed is a term used to describe the filtration process that the whey has went through, this being a sign of a high quality protein supplement. By being hydrolysed, the actual size of the proteins are smaller and as a result, can be digested quicker. The scientific process is called enzymatic hydrolysis. The other forms of whey protein, such as whey protein concentrate just hasn’t went through as rigorous filtering that means that are more of the natural carbohydrates and other ingredients contained in cow’s milk. Therefore, this will produce a whey protein supplement with a lower protein content compared to the isolate forms. Typically though, most whey protein concentrate supplements still have a protein content of over 70%. However, depending on what additional ingredients are added, this protein percentage figure can be as low as half of that.